Excellent botryoidal specimen of Suolunite, a very rare calcium sorosilicate. 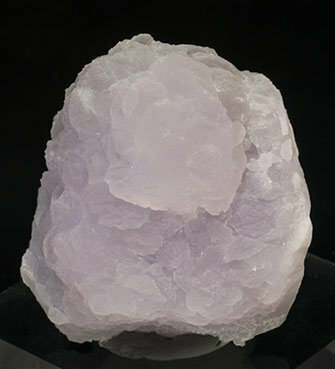 On the sample, translucent and with a pale lilac color, it is possible to recognize crystal faces although they are poorly defined. Of the best possible quality for this species.